Source: Industrial Services of America Inc.
Industrial Services of America, Inc. (NASDAQ: IDSA), a leading provider of recyclable commodities and other materials, logistics management services, equipment and processes for waste, today announced preliminary un-audited financial results for the third quarter and nine months ending September 30, 2007. For the third quarter of 2007, revenues grew 16.9 percent over the year-earlier period to $17.9 million. EBITDA (earnings before interest, taxes, depreciation and amortization, as reconciled below) was 22.4 percent higher at $1,194,064. Incorporating the impact of stock awards connected with appointing a new chief operating officer, net income was $383,159 ($0.11 per diluted share), compared with $439,568 ($0.12 per diluted share) in the year-ago quarter. Net income was reduced by a pre-tax $215,800 charge ($129,480, or 3.6 cents per share after-tax) for restricted common stock that was part of the management employment contract for the new chief operating officer. “Business in the quarter remained strong, reflecting continuing demand domestically and internationally as well as increased prices for ferrous scrap and other commodities,” said Harry Kletter, Chairman and CEO, who remarked that the third quarter is traditionally a slower quarter.“This quarter marks ISA’s 18th consecutive profitable quarter, which continues to provide us the financial position and flexibility to benefit from evolving markets and economic conditions. For the 2007 year to date, revenues increased to $55.4 million, 16.5 percent higher than the first nine months of 2006. Net income rose 36.9 percent to $2.0 million ($0.55 per diluted share) from $1.5 million ($0.41 per diluted share) for the year-ago period. The effective tax rate for the nine months of 2007 was 38.8 percent, versus 33.5 percent in the 2006 period. The year-ago period included a pre-tax $270,000 benefit ($162,000, or 4.4 cents per share after tax benefit) reflecting the exercise of consultant stock options. Within the ISA Recycling segment, revenues increased 22.4% to $42.0 million for the first nine months of 2007, compared with $34.3 million for the same period in 2006, primarily due to increased prices. 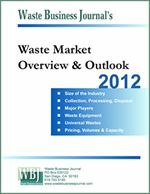 Recycling segment shipments for the first nine months of 2007 were up 10.1% compared to the first nine months in 2006. -- Total revenues for the first nine months of 2007 were $55.4 million compared with $47.5 million. -- Income before income taxes for the first nine months of 2007 was $3,265,961 compared with $2,194,819. -- Net income for the first nine months of 2007 was $1,997,538 (basic and diluted earnings of 55 cents per share) compared with net income of $1,458,851 (basic and diluted earnings of 41 cents per share) for the first nine months of 2006. -- Total revenues for the third quarter of 2007 were $17.9 million compared with total revenues for the third quarter of 2006 of $15.3 million. -- Income before income taxes for the third quarter of 2007 was $601,722 compared to $496,014 for the third quarter of 2006. -- EBITDA for the third quarter of 2007 was $1,194,064 compared with EBITDA of $975,640 for the third quarter of 2006. (See the EBITDA reconciliation below). -- Net income for the third quarter of 2007 was $383,159 (basic and diluted earnings of 11 cents per share) compared with net income of $439,568 (basic and diluted earnings of 12 cents per share) for the third quarter of 2006. For the remainder of fiscal 2007, Kletter said the outlook for the company’s performance was positive, due to continued strength in pricing and in shipping volumes. In the recycling segment, shipments of nonferrous volumes in October 2007 were approximately 76% higher than in October 2006, reflecting the increased availability of shipping containers over late September. Nonferrous scrap volumes for the last two months of 2007 are expected to approximate volumes shipped in the same period in 2006. Ferrous volumes for the 2007 fourth quarter are expected to be consistent with those in the fourth quarter of 2006. “Our goal is to remain dedicated to the recycling, management services, and equipment industry while sustaining steady growth at an acceptable profit, adding to the net worth of the Company, and providing positive returns for our stockholders,” he said. Industrial Services of America, Inc., is a Louisville, Ky.-based logistics management services company servicing commercial, industrial and logistics customers nationwide. Industrial Services of America, Inc. provides scrap processing, waste and recycling management services, and equipment sales and service. Industrial Services of America, Inc. also actively participates in international markets, exporting non-ferrous metals and other recyclable materials. The company’s stock trades on NASDAQ under the symbol IDSA. Additional information is available at www.isa-inc.com. This news release contains forward-looking statements that involve risks and uncertainties that could cause actual results to differ from predicted results. 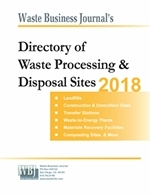 Specific risks include varying demand for waste managing systems, equipment and services, competitive pressures in the waste managing systems and equipment, competitive pressures in the waste managing business, loss of customers and fluctuations in the price of recycled materials. Further information on factors that could affect the Company's results is detailed in the Company's filings with the Securities and Exchange Commission. The Company undertakes no obligation to publicly release the results of any revisions to the forward-looking statements. (1) EBITDA is calculated by the Company as net income before interest expense, income tax expense, depreciation and amortization. The Company uses EBITDA as a key performance measure of results of operations for purposes of evaluating performance internally. This non-GAAP measurement is not intended to replace the presentation of our financial results in accordance with GAAP. Rather, we believe the EBITDA calculation provides additional information to investors and debt holders due to the fact that tax credits, tax rates and other tax related items vary by company. Additionally, years of service for fixed assets and amortizable assets are based on company judgment. Finally, companies have several ways of raising capital which can affect interest expense. We believe the presentation of EBITDA provides a meaningful measure of performance exclusive of these unique items.